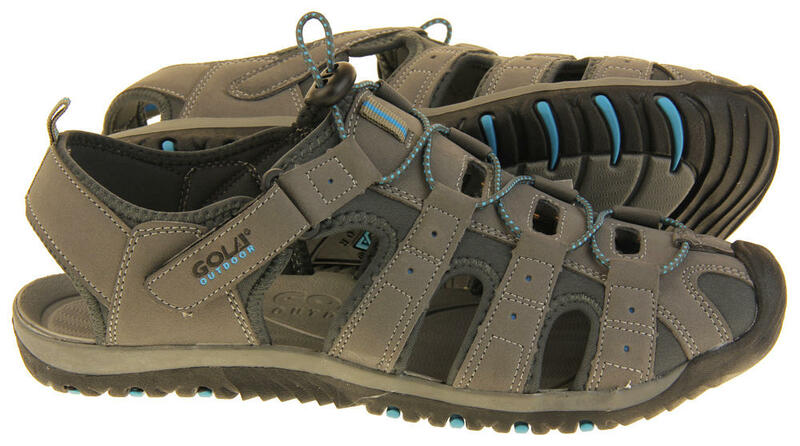 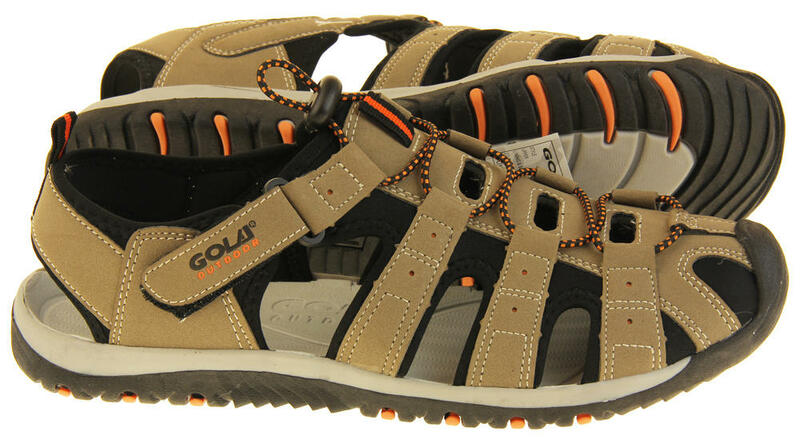 Gola has really excelled themselves with these gorgeous men?s sandals! 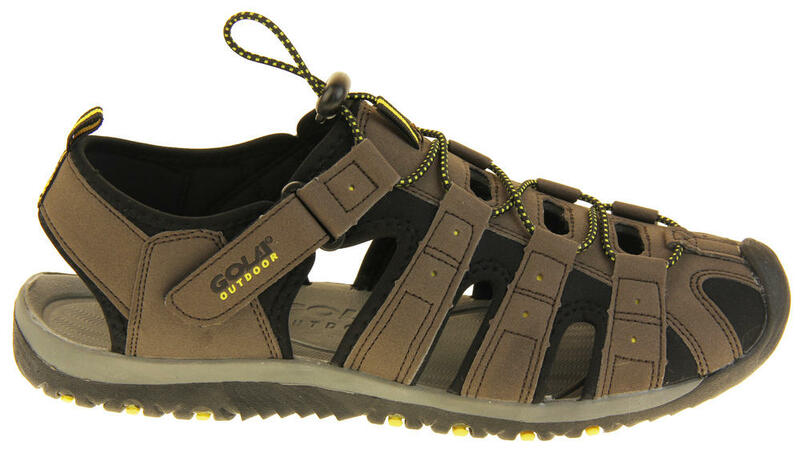 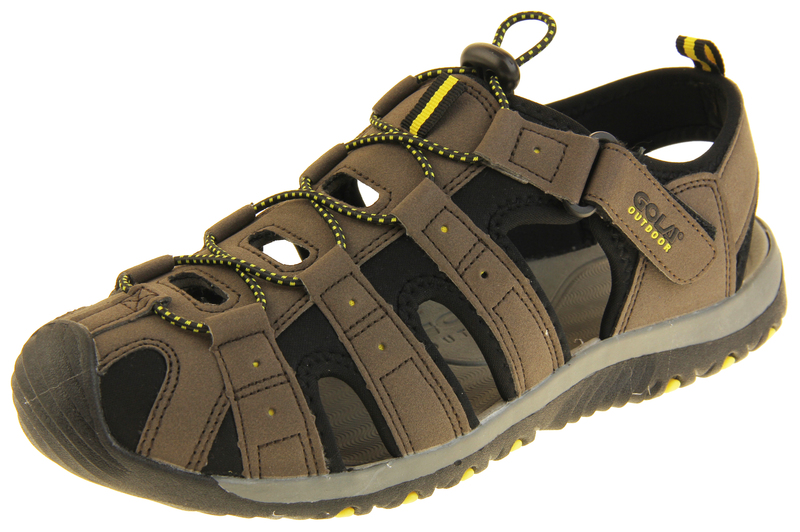 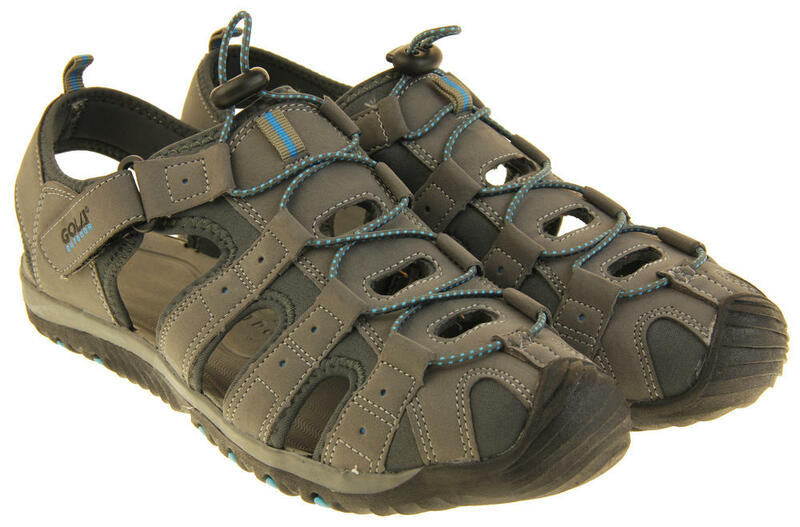 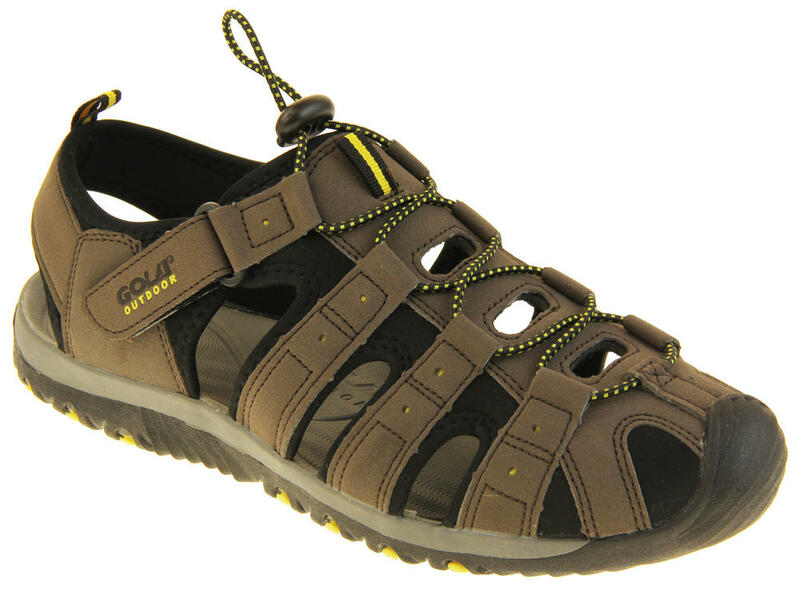 The soft textile lining and ergonomically designed insole/footbed makes these incredibly comfortable to wear. 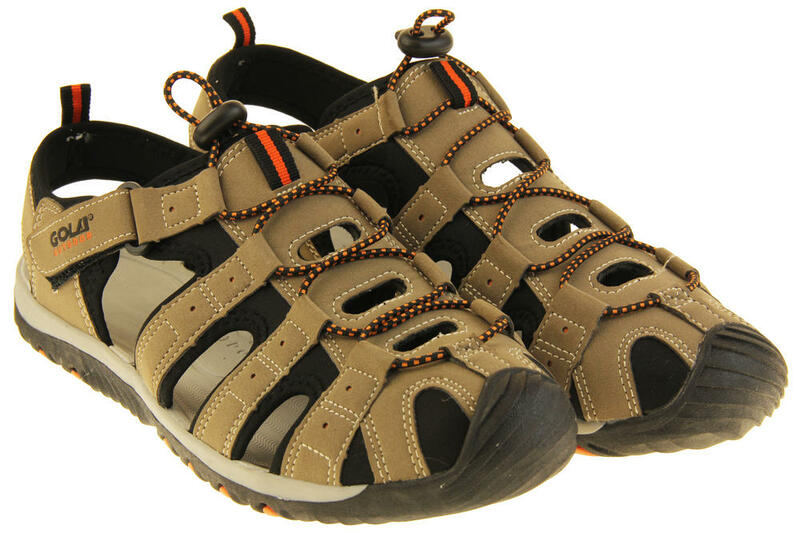 The closed toe design also helps to protect your toes from rocks should you choose to wear them to up hike mountains this summer, whilst the cut out open vent panels keeps your feet cool in hot weather. 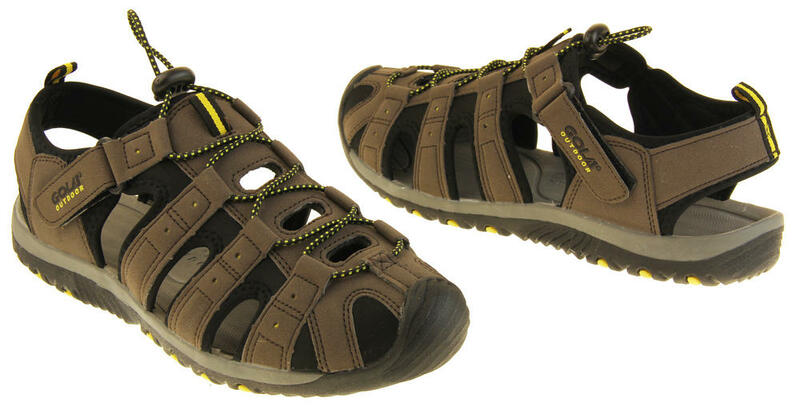 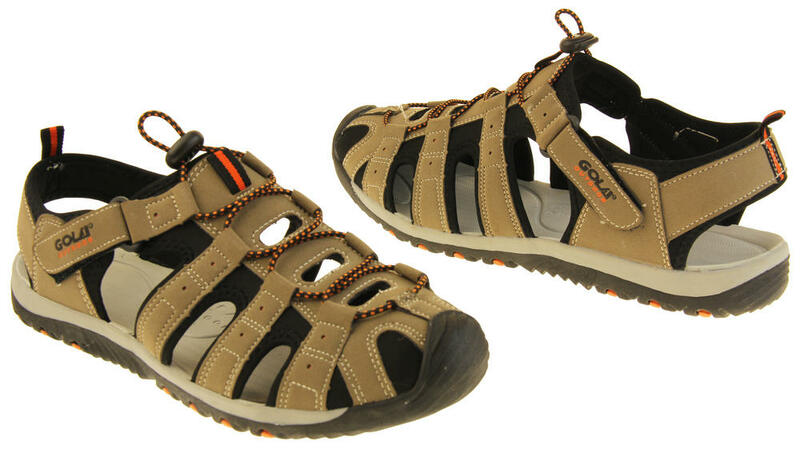 They are also perfect for walking around for hours sightseeing in pretty towns and villages whilst on holiday. 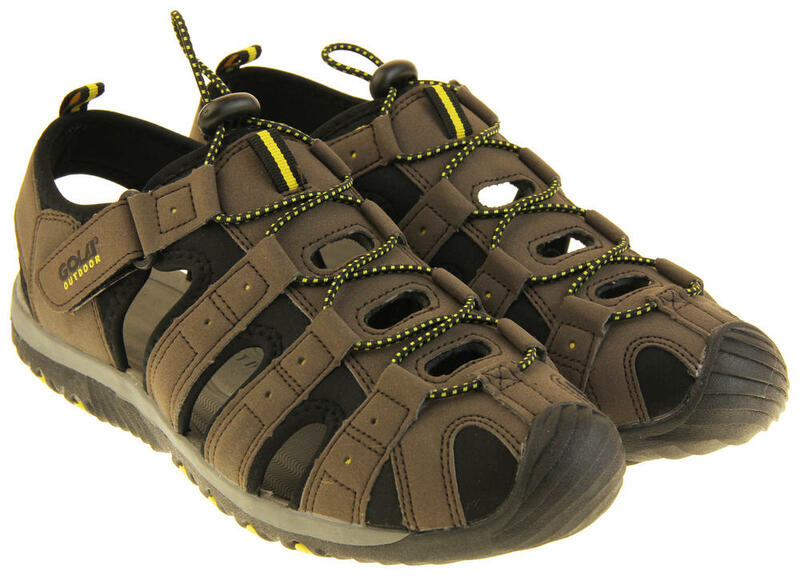 The adjustable side Touch Fastening strap and toggle fastening makes wearing them quick and easy and ensures a perfect fit!